-The Olympic athletes have more control over what people see of them. Granted, they can’t control what other news outlets or fans put out, but they can control what they put on the internet. For instance, we can see how they relax and prepare… or just have a little fun. -The possibilities of watching all the events you ever wanted to, online, on TV, or even chatting with people about the events from across the world (while staying in front of the comfort of your own television) is now possible. If you want to see a recap of equestrian, shooting, and judo it’s all online. If you want to chat with another weightlifting fan from Poland, it’s as easy as going online. You are no longer limited to what NBC shows you on their station alone, but other stations, online, and on social media as well. -Being able to watch any event you want to does have a disadvantage. NBC is trying to control what people see and when, and through various networking tricks, YouTube, and other recent developments, people are able to watch things before they are aired on television. This, again, leads to spoilers, but also problems for television networks, journalists, internet networks, and hacking. We’ve certainly come a long way since the first Olympic games held in ancient Greece. Our latest development of social media is not only directly influencing the Olympics by making the athletes seem more real and by posting the latest results whether we’re ready or not, but social media is also bringing the world so much closer during these Olympic games. In a spectacle that is meant to stir up friendly competition across the world, the fans now have the chance to interact with other fans around the world — just as those attending the Olympic games have that opportunity. 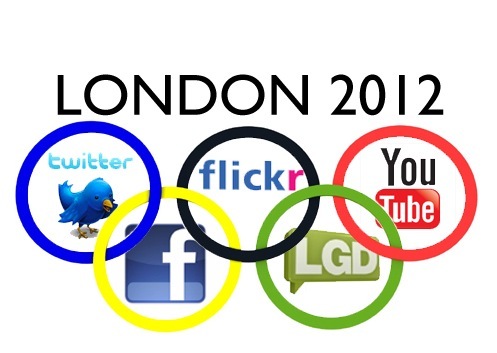 How has social media influenced your watching and opinions on the Olympic games this year?